Many times a versatile actor/actress is very hard to come upon. When it comes to the genre of comedy it can be even more difficult. Over the last 12 to 13 years one of these people has clearly been Allison Janney. With her unquestionable brilliant work on The West Wing, which mixed her comedic and dramatic talents all at once along with a natural ability to deliver fast paced dynamic dialogue. Janney’s career can not just be measured on screen. She was discovered on stage by true genuine Hollywood royalty in Paul Newman and the lovely Joanne Woodward. They gave her guidance and bits of advice that would see her rise and shine to the tune of FOUR Golden Globe nominations and multiple Emmy wins. 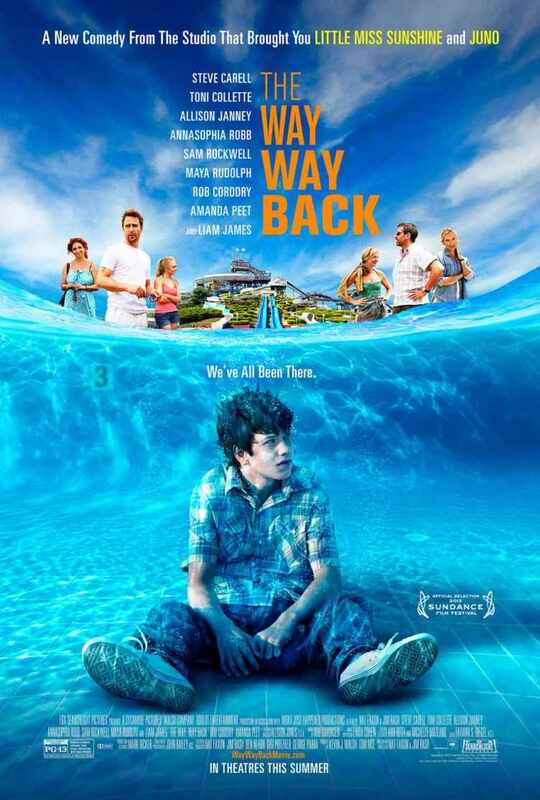 Janney now stars in the sleeper summer hit The Way Way Back in which she costars with Steve Carell, Toni Collette and Sam Rockwell. I recently had the chance to speak with Ms. Janney about her upcoming film and past work. If you could tell me how the project came to you and what drew you to your character. This project came around my doorstep many years ago through Jim Rash and I knew Jim through mutual friends and had been a fan of his seeing his work at The Groundlings in L.A. I ha seen Nat’s work also but knew Jim personally. [Jim] sent me the script and I felt this is a character I would love to play and can get behind. When I had seen who he assembled as a cast I felt this is a great ensemble movie. Jim Rash and Nat Faxon have both been writing for a while, You had a unique situation in that they are both co-directors and it was each first directing film, Did this present any kind of challenges? I think ity gave them a great opportunity to make it easier some how. I am a fan of it because they would always, more than likely be on the same page about everything , because they had written together for so long and had this in their wheelhouse for a long time. They know every single moment and what they want.They were really fun to work with! You are one of the few people who has really mastered the dialogue of Aaron Sorkin. How has that helped you since the conclusion of The West Wing and on into your future projects? I was trained in the theater so I came to Aaron Sorkin with a good understanding. One of my debuts was an Olk Howard Play. Noalk Howard was an incredible writer where people talked fast and were smart.It’s been my dream to play that kind of woman, so who knew I was gonna run into Aaron Sorkin and he was gonna write me that sort of fast talking dame at the White House. It was sort of a perfect collaborating that happened for me. Since The West Wing part of me feels I’ve used up part of my memorizing chip (laugh).I think I was just in that habit day in and day out so I could memorize a huge chunk in 15 minutes before going into the press briefing room. You mentioned that you started off in the theater. You are credited with being discovered by Paul Newman and Joanne Woodward. They are Hollywood Royalty as far as Im concerned. Mmmmm I love them. I totally give them that credit too. Because I did work with them and I was working with Paul Newman when I was freshman in college and Paul always said “ if you ever need favor, all you have to do is ask.” I never asked him for that favor because I could never think of the right one to ask. I love that I never used it but always had it in my back pocket, it gave me incredible confidence. I think they were invaluable to me in terms of building my confidence and starting me out on the right foot. I adore them. Is there any one piece of advice they gave you that stuck with you and still sort of drives you? Joanne always told me not to make fun of the material no matter how silly, just don’t make fun of it. That always somehow made sense to me, I understood what she was talking about.Because you have to own it and believe it. She also talked about the right shoes for the character so I’ve always been obsessed with finding the right shoes for the character. You have worked with a lot of directors early in their career much like Jim and Nat. You worked with Sam Mendes first movie and one of Ang Lee’s first films. Do you enjoy working with first time directors? i do. So funny I guess that’s really true, I’ll tell you every single experience I think there has been a real appreciation and excitement they have. Everyone wants it to go well so everyone’s on the same team. One thing that came across when speaking with Allison Janney is her love for her craft. When speaking about Paul Newman and Ms, Woodward there was a genuine sense of love and reverence for them. Her voice tone immediately changed in a sentimental tone and you could almost feel her love for them. Allison Janney is a true star and great actress in this industry. Look for no less from her in The Way Way Back. Baseball season is officially underway which means summer is right around the corner. Having already put out a top five baseball movie list, albeit to some controversy for leaving out Field Of Dreams, it’s time to take a deeper look at the movies on the list and we will include Field Of Dreams when we look at each movie. “It’s hard not to be romantic about baseball” could have easily been the best line in a baseball movie in sometime and basically summed up last summer’s great movie and Brad Pitt’s best movie in a while, Moneyball. Moneyball is the true story of the second poorest team in the major leagues in the Oakland A’s and their determined general manager Billy Beane and how he changed the way teams are built and players are evaluated. Sabermetrics is a mathematical system that evaluates the hundreds of stats that baseball has kept track of for 100 years and finds the most productive player at each position and for the best value. Sabermetrics was developed by Bill James many years ago and he was nearly ostracized from the game for trying to change the way people look at this beloved game. Billy Beane’s very controversial use of this system to try and put a winning team on a minimal budget was not well received until it started to work. The A’s of 2002 shocked the baseball community by being competitive and setting records, most notably winning an astonishing 20 games in a row. Written by Academy Award winner of the previous year, Aaron Sorkin, Moneyball is one of the finest made movies of the year and certainly one of the finest baseball movies in many years. Brad Pitt’s wonderful performance as the beleaguered GM is one of the best of his career. With near perfect dialogue delivery and a comfortableness with his role, Pitt makes you forget you are watching an actor and draws you in and has you pulling for him and the A’s within minutes of the movies beginning. Moneyball truly shows how romantic baseball can be and how deep the love of the game goes and shows the parallel business side of the game which can be as heartbreaking as any postseason loss there is. Baseball is first and foremost a business despite the passion it’s fans have and the love of the players. It can be a hard and ugly business that shows that unfortunately in the baseball world money talks and money walks. It is near impossible for the poor teams like Oakland and Kansas City to compete with New York and Boston. Beane mentions early on, it’s an unfair game, and it is but that doesn’t curb it’s fan’s love for the game and doesn’t stop it from having those feel good stories like Oakland and Tampa Bay. Billy Beane changed the near 200 year old game of baseball. He has no ring or banner or pennant to show for it. He turned down the largest contract in GM history after his historic 2002 season because of his love for his team and the game. Baseball has a special place in Hollywood, it has made some of it’s most romantic scenes and movies. Hollywood makes everyone see how special it is. Hollywood has not made nearly as many memorable football or hockey or basketball movies as it has about baseball. Moneyball may be a niche movie that could easily be lost on people who don’t like sports or baseball or the statistics that go along with baseball but its a great movie non the less. Pitt and Jonah Hill are a great unlikely team and they make you root for them and the team the whole time. The movie did show one thing, Billy Beane was right, it’s hard not to be romantic about baseball.